Every writer has writer’s block now and then. Some writers pass through seemingly interminable stretches of it. Writing is like surfing: some days you catch the waves, other days you miss them. Some days there are no waves at all, other days you can ride them all the way to shore. The point is that you have to still show up every day with your board. You never know which days you’re going to catch the waves and which days you’re going to miss them. That’s the beauty of it. You have to show up to find out. Sometimes (often) writers stifle their own creativity because they fear criticism or failure or that nobody else will “get it”. Penning yourself in is no way to keep yourself motivated. Spend some time digging up and mapping out some of the most outrageous ideas you’ve ever come up with. Look at Jonathan Safran Foer’s Everything Is Illuminated, with huge stretches of the book written in the broken English accent of a Ukrainian guide. Genius. Or Gabriel Garcia Marquez’s short story “A Very Old Man with Enormous Wings” about an angel fallen to earth whose bodily functions and lice are anything but heavenly. Sometimes, sitting around staring out your window until you come up with an idea is just the thing you need to do. Other times, it’s best to head outside a bit and see what the rest of the world is up to. Head to a coffee shop, bar or bookstore. Go to a museum. Sit in the park. Eavesdrop on people’s conversations. Take public transportation. Observe people. Take a taxi. Talk to the taxi driver. Make it an exercise when you’re receptive to outside stimulation and you’re an observer in the midst of the action. Bring a notebook or laptop and write down the things that strike you. It could be an interesting conversation you overheard. Or sensory stimulation such as crunching leaves, the biting cold air, the smell of roses in bloom. Choose a person and observe them physically. The way they’re dressed, the way they move, their age. Try to imagine who they are based on what you see. Use these experiences to prompt an idea. Though sojourns to the outside world can help spark lagging creativity, most writing is done in the confines of your home. So dedicate some time for carving a creative nook of your own in your home. Whether you live alone or with twenty roommates, whether you’re single or married with children, finding a space to call your own, no matter how humble, is the least you can do for yourself as a writer. Elizabeth Gilbert’s post-Eat, Pray, Love writing took place in her attic where she collected eclectic things such as a knight’s armor, and had a window overlooking a garden for inspiration. Jane Austen wrote on what has got to be one of the world’s tiniest desks. Mark Twain took breaks from writing by playing pool on his private pool table. Nigella Lawson’s wall-wall bookshelves house her personal library of thousands of books – all within arm’s reach for research and inspiration. Virginia Woolf, George Bernard Shaw and E.B. White were partial to windows overlooking greenery. Make a space that’s all yours. If you’re the type who likes to decorate and embellish things, fill it with inspiring pieces of art, handwritten poems pasted to the walls, books that you love. If you need blank space and peace and quiet, go the Zen minimalist way and un-clutter space for you to sit and fill the emptiness with your ideas. Make sure your ideas don’t dry up by giving yourself a constant injection of creativity. Get on the mailing list for interesting blogs, podcasts and websites to keep your mind stimulated. Sometimes you just can’t pull the weight of endless creativity all on your own. There’s nothing wrong with reaching out and seeing what other brilliant minds are sharing with the world. Hopefully it will jog something in you that you weren’t able to access on your own. Write down 50 ideas for stories or articles. They don’t have to be perfect or brilliant. Just write them down. You’re already being creative by just thinking about them. Choose the one you like best and use the momentum to build on it. Freewrite. Do a freewriting session when you set a timer for 20 minutes and write down everything that comes to mind without stopping, erasing or spell-checking. See what came out of it. You can go another step further and choose your favorite thought from your first freewriting session and use it to start another one. This is called looping. You can do it ad infinitum. Make a spider diagram. Write your main idea in the center of a piece of paper and then write ideas that spin off. You can connect related ideas with a line and start expanding beyond the original ideas, continuing to connect related ones with a line, like a spider’s web. Having a visual map of your ideas can help you organize your thoughts enough to start writing. 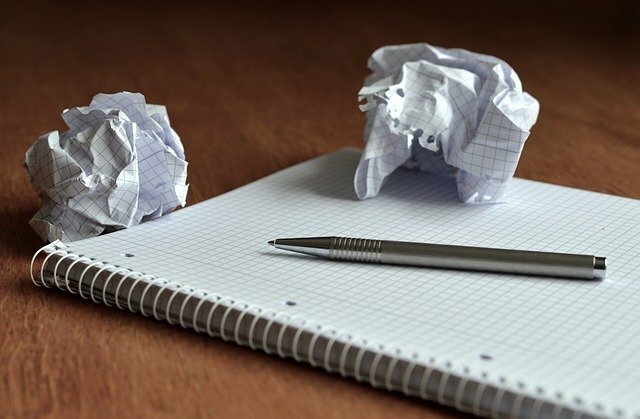 This entry was posted in General Writing and tagged how to keep writing, overcome writer's block, writing ideas on March 21, 2015 by Steve Aedy.